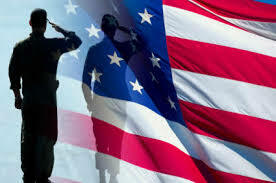 A Little Known…..But Very Valuable Veteran’s Benefit | The Levin Law Firm - Philip Levin, Esq. Veterans Day each year causes me to think about my family members, friends, and clients who have served our country, often putting themselves in harms way, and others who have paid the ultimate sacrifice with their lives. I think of my dad who served in World War II, and a neighbor who was among the last killed in Vietnam, as well as many clients I know who served in Vietnam and the Gulf War which is still on going. We all owe a debt of gratitude to the men and women who have served our nation so that we can continue to live in a free and democratic society. 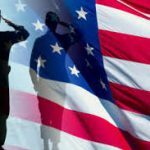 As a trust and estate planning attorney, I often help Veterans with the non-service connected pension benefits, commonly referred to as “Aid and Attendance” benefits. For those whom I have assisted to secure this valuable Veteran’s benefit, these income tax free funds have helped our clients pay for much needed long-term care. Currently, the VA has proposed regulations which will penalize all gifts and transfers for three (3) years following the transfer of assets. These new regulations have not been implemented, as they received numerous negative comments. However, the VA is planning to have new regulations imposed in April, 2017, clearly designed to prohibit Veterans from receiving Aid and Attendance benefits for three (3) years following a Veteran making a gift or transfer of their property into a Trust. are trying to prevent such proposed legislation from being signed into law and having the VA implement more reasonable rules. But sadly, Veterans understand that the system does not always work as it should. Attorney Phil Levin regularly designs and implements effective Asset Protection Estate Plans for his clients. These plans can allow eligible Veterans to qualify for the financial assistance they have earned, and greatly need at this time in their lives. We can help Veterans to retain their dignity, protect their assets, maintain their standard of living, and pass along an inheritance to their families. If you are a Veteran, or know a Veteran, who may need help financing the cost of long-term care over the next few years, please call The Levin Law Firm at 610-977-2443 to arrange a Complimentary Consultation with attorney Phil Levin, Esq.